Washington State voters were asked to weigh in on whether consumers should pay a fee on greenhouse gas emissions and use the revenue generated to support clean air, water and energy initiatives. The No on 1631 coalition chose IQM to target voters online with banner ads and videos. The multimedia campaign sought to demonstrate the ways in which the proposal was poorly written, costly and unfair to working families. Every major newspaper in the state opposed the measure. Using IQM, the campaign reached more than 6 million Washington voters. 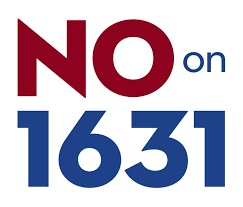 Among those who saw a “No on 1631” ad or video, 20% demonstrated they wanted to learn more by clicking for more information. The online campaign played a key role in defeating Proposition 1631.